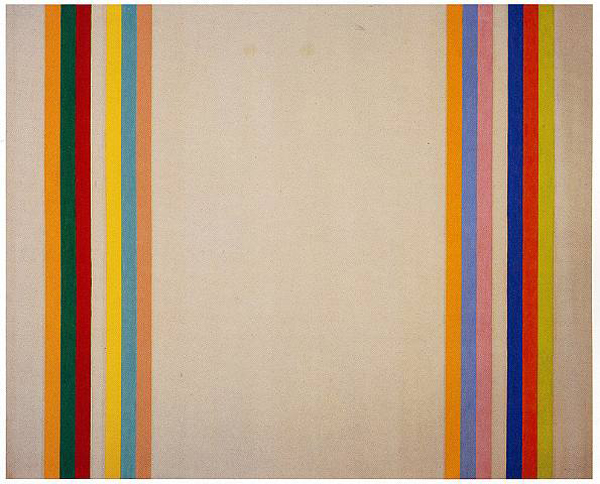 Today I am deeply inspired by the artist Gene Davis. 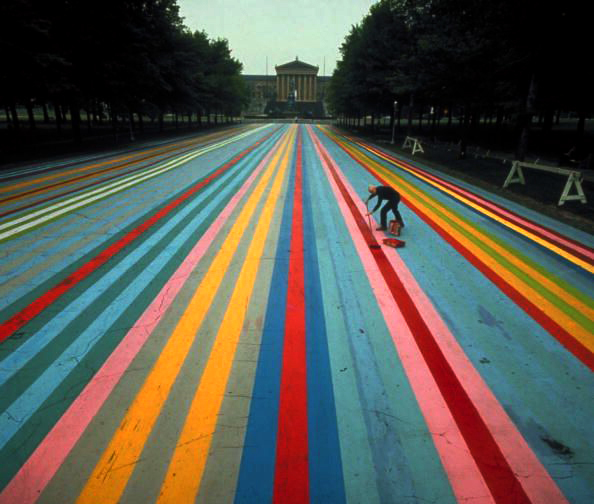 He is known for his colorful vertical striped paintings and in 1972 he created 'Franklin's Footpath,' which was at the time the world's largest painting, in front of the Philadelphia Museum of Art. How sweet is that?! I wish more roads looked like that! I immediately thought of this post and the staircase from this post when I saw this. 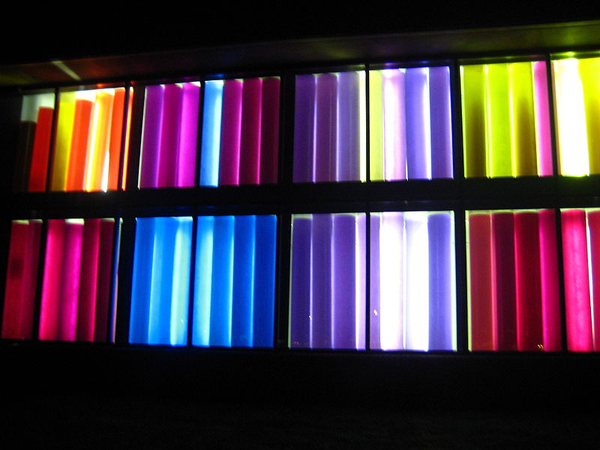 He also created the first solar painting called Sun Sonata located at William and Mary which you can see below... incredible. 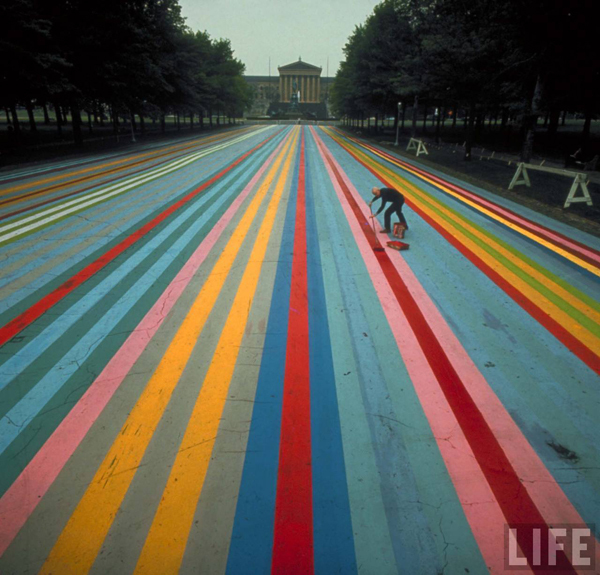 It definitely puts me in a colorful vertical stripe mood. The sprawling colour is truly inspiring. I think I could look t those images all day! I love the color in this post. This is amazing. It reminds me of those tulip fields in the Netherlands. Wow! This is fantastic!! I know so little about Gene Davis. Thanks for the posting!